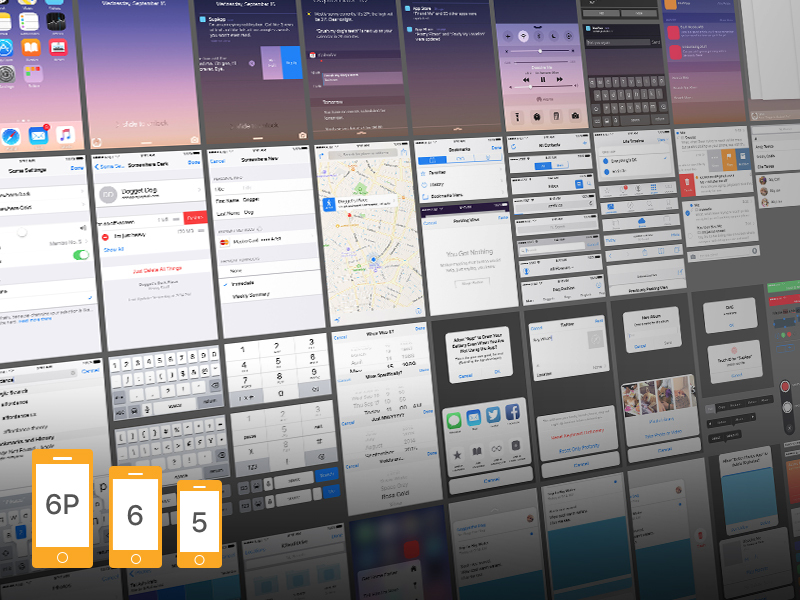 Download iOS 9 Ui Kit for iPhone 6s Plus Free PSD. iOS 9 Ui Kit PSD. You can easily use the design. Photoshop kits of iOS 9 UI: system screens, notifications, navigation and tab bars, keyboards, pickers, action sheets and actually many more.. You will find this iOS 9 Ui Kit for iPhone 6s Plus Free PSD useful and can use it to concept ideas or create custom interface elements. The best thing about this Free iOS 9 Ui Kit for iPhone 6s Plus PSD is that you can download it for free and its easy to use and can be customized according to your needs. So download this iOS 9 Ui Kit for iPhone 6s Plus Free PSD and check them out. iOS 9 Ui Kit for iPhone 6s Plus PSD is just perfect and a great resource for any type of personal or commercial Web and mobile UI design projects. iOS 9 Ui Kit for iPhone 6s Plus made in photoshop PSD file format. Elements are organized in layers, allows you for editing of files quickly. Hope you like this iOS 9 Ui Kit for iPhone 6s Plus Free PSD. Enjoy!